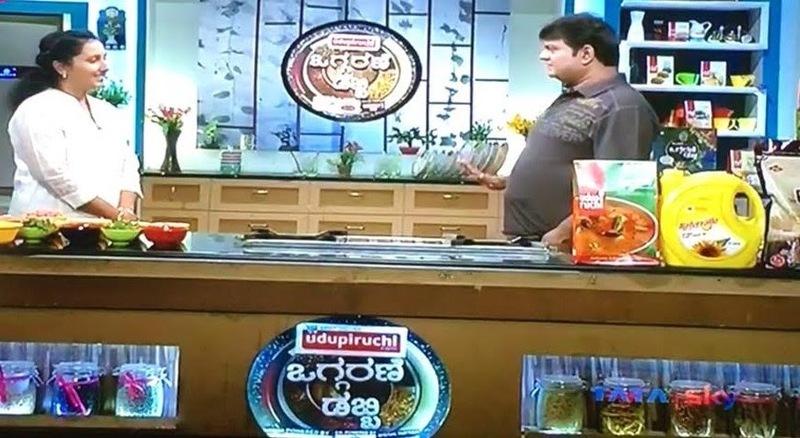 Thanks to Organic Mandya for the initiative, I had been on this show called Oggarne dabbi, on Zee TV to demonstrate my moms kheema/ground meat pilaf! 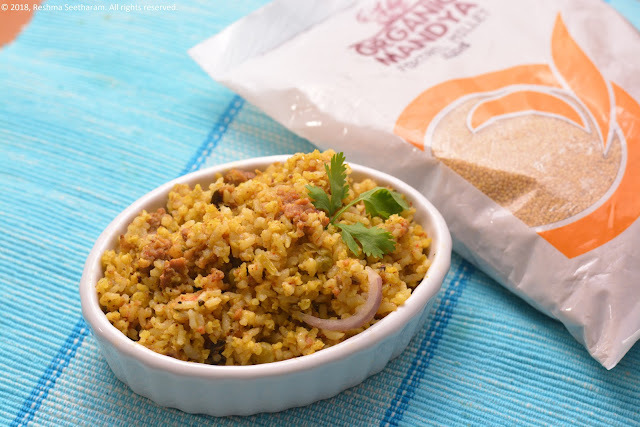 The twist was making it healthier by swapping out half the rice with millets. The following video is my mom cooking this yummy pilaf! Enjoy! 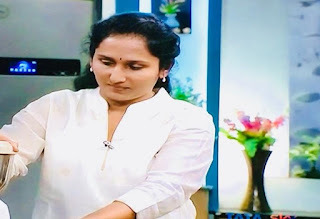 Soak a cup of raw millets and rice in water, set it aside for 20 minutes. Pressure cook ground meat with a cup of water, a tsp of oil, salt and pepper to taste. Once cooked, drain the broth, and reserve it. Set aside the broth and kheema/ground lamb in separate bowls. Set a saute pan on medium heat. Add a tsp of ghee. When it is smoking, add whole spices like fennel seeds, cinnamon, cloves and green cardamom. Let is roast for a few seconds. Add in green chilies, half the onions, chopped ginger and garlic cloves. Saute for 5 minutes until they are aromatic. Set it aside to cool. Now grind this mixture to a fine paste in a blender or mixer. Set aside this masala paste. In a pressure cooker pan, on medium heat, add 2 Tbsp oil and 2 Tbsp of ghee. When it is smoking, add whole spices like fennel seeds, cinnamon, cloves and green cardamom and bay leaf. Let is roast for a few seconds. Add in onions and freshly chopped fennel greens. Saute for a minute. Add in the tomatoes and cook until soft and pulpy. Pour in the ground masala paste and cook for 5-7 minutes, stirring constantly. Add in salt to taste and fresh or frozen peas. Add in the cooked kheema. Stir to combine. Now measure out 3 cup of meat broth and 1 cup of coconut milk. Pour it into the cooker and let it come o rolling boil. Now add turmeric, coriander powder and chili powder. Drain the soaked millets and rice. Add it slowly into the boiling kheema mixture. Check the salt and add more if needed. Add a dollop of ghee and fresh squeezed lime juice.Stir to combine and close the lid. Give it a gentle stir, Do not over-mix. Add the pressure cooker lid and weight. Pressure cook it for 2 whistles. Let the cooker cool down until the pressure is completely released. Open and stir gently. Serve with yogurt raitha and a meat curry on the side. Enjoy!